Healthy foods is what you should focus on. Maximize energy sources with the lowest amount of calories. Pretty much all the foods pictured above are pig appropriate. These foods can be given in addition to the pelleted feed or if you are choosing to go with a natural diet, these foods will be part of your pigs diet plan. (Click here to read more about an all natural diet) Starchy foods should be limited as should naturally sweet foods like fruit. These complex sugars still break down to sugars and if not burned, will turn into fat. But, fruits and vegetables are both carbohydrates and the glucose from either can be stored as fat. Pigs can pretty much eat anything that humans eat...IN MODERATION. We also wanted to address foods you should avoid in addition to listing foods that are ok.
Watermelon rinds and corn cobs, these tend to be 2 common concerns with miniature pigs. Avocado, peach pits, plums and other foods with a pit in them should also be "de-pitted" or cut up into slices so your pig doesn't accidentally swallow something that can block the airway causing them to choke. Dark, leafy greens, like kale or spinach, are perfect for pigs, providing ample amounts of vitamins and fiber which makes them feel fuller longer. 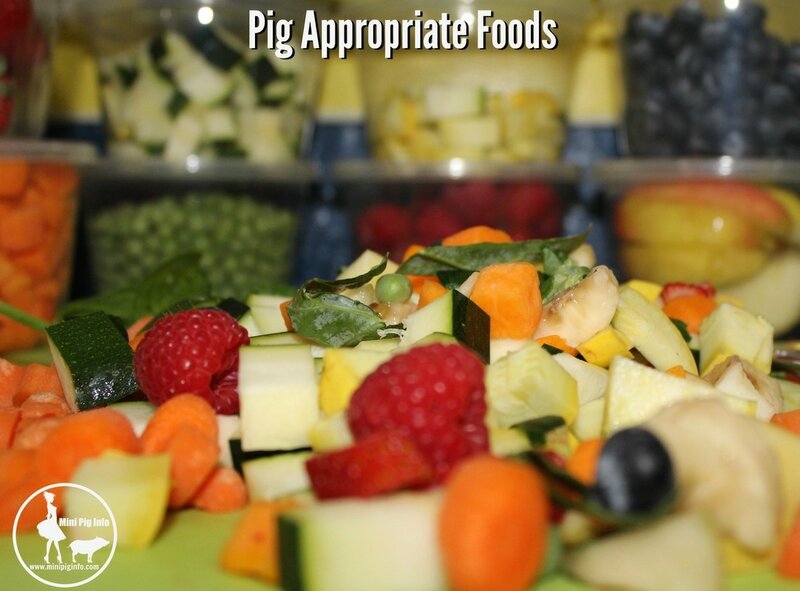 Other healthy vegetables snacks for pigs include bean sprouts, beets, broccoli, butternut squash, carrots, cauliflower, cucumbers, parsnips, peppers, pumpkin, summer squash, turnips, winter squashes and zucchini. Here is a list of foods that are appropriate to feed your pig in addition to your manufacturered pelleted feed. Any additions to your pigs pelleted feed should be measured and calculated into the total amount being fed. ANY food can be an energy source, but not all foods are equally as nutritious as others. Pigs can pretty much eat the same foods that people can eat. Some pigs prefer to eat their veggies cooked rather than raw, and most pigs have a preferred foods that they’ll eat without any fuss, but those same pigs will leave some vegetables in their bowl and refuse to eat them. These foods shouldn’t be cooked with butter or salt, if your pig prefers the veggies to be cooked, then steaming or baking them is best. Some of these foods can also cause gas, so it is up to you whether or not you feed those types of foods. You may have to buy little of each until you determine what your pig likes and doesn't like. Most foods should be given in MODERATION! That is always key. Foods contain natural sugars and those sugars will turn into fat if not burned as energy. This is fruits AND vegetables. Foods do not have to be sweet to contain carbs, and the glucose from either can be stored as fat. Written by Brittany Sawyer, emphasized points written by Penny Jeffery. 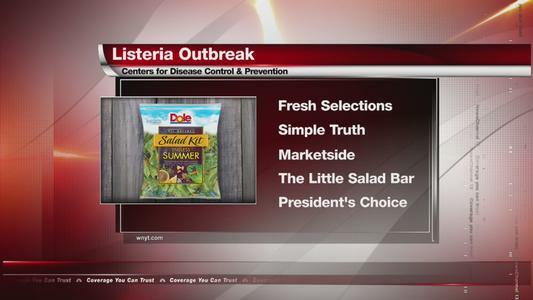 Because of outbreaks in different countries of various illnesses and foodborne disease, here is a link so you can be sure the food you are purchasing for your pig isn't linked to any outbreaks. This link below is also connected to the CDC website as well.